A PowerPoint 'weather bomb' presentation!!! What is a weather 'bomb'? A Met Office "be aware" warning is running for parts of Scotland, England and Northern Ireland. Parts of western Scotland are braced for strong winds and "unusually high" waves, while there have already been a string of road accidents amid snow and ice. But with newspapers predicting a UK weather 'bomb' for the second year running, what does the term actually mean? The above (word for word) appears on today's BBC website. To watch the presentation, click on "What is a weather 'bomb'". Then ask yourself whether weather forecasts are aided or abetted by yet another PowerPoint style presentation (on which I've blogged previously and ad nauseam. I don't think such expensively created graphics add very much. Nor do I believe for one moment that we are about to be 'bombed' out of existence, or at least under cover. Meanwhile, PowerPoint style news programmes continue apace on the BBC and elsewhere. What is a PowerPoint 'weather bomb'??? HelpA Met Office "be aware" warning is running for parts of Scotland, England and Northern Ireland. 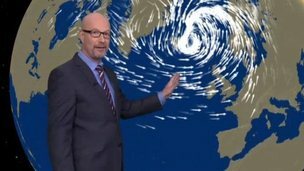 BBC weather's Peter Gibbs explains. PlayWhen can you fly a drone in UK? It was the first time I voted tactically, having always voted Labour until then. But, as is quite well known, I have voted for the SDP and Liberal Democrats ever since. examples of him speaking - except on tonight's prime time news programmes. 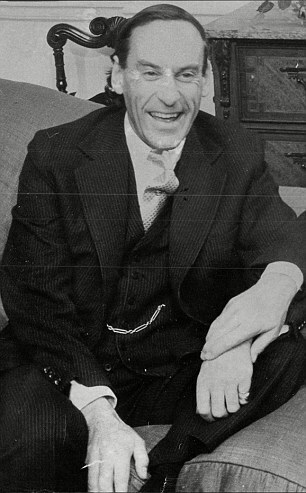 I once heard Jeremy Thorpe make a speech at a boys' grammar school in Wilmslow, Cheshire. just before the 1979 general election - long before I was in the least bit interested in public speaking as a subject worthy of research. And an extremely effective speaker he was. Our reason for going to the meeting, apart from the fact that my late wife taught at Wilmslow girls' grammar school and we lived nearby, was that it was then a marginal seat. The Labour party's sudden lurch to the extreme left had made us think of voting against the Tories, without actually voting for Michael Foot et al. I'd recommend anyone interested in funeral orations - or speech-making of any kind - to watch this splendid example by Australian cricket captain Michael Clarke (right) at the funeral of a colleague (who was hit on the head by a ball) Philip Hughes. The text can be read verbatim and in full below - and is a model of how to make a great speech on any occasion - not just at a funeral, but in business, politics or anywhere else. It will be interesting to see how many hits Clarke's tribute eventually gets on YouTube. So far, the total number of YouTube views is 85,000. Anecdotes, 3 part lists and other rhetorical devices are here in abundance (see my books). Clarke in not a professional speaker (yet), but his mastery of rhetoric and delivery is pretty good. Keen anoraks among you might like to check it in detail - as I shall be doing if and when when I have time. I'm deeply honoured to have been asked by Phillip's family to speak today. I am humbled to be in the presence of you, his family, his friends and his community. He was so proud of Macksville and it is easy to see why today. Taken from the game, his family and loved ones at the age of just 25, he left a mark on our game that needs no embellishment. I don't know about you, but I keep looking for him. I know it is crazy but I expect any minute to take a call from him or to see his face pop around the corner. Is this what we call the spirit? If so, then his spirit is still with me. And I hope it never leaves. I walked to the middle of the SCG on Thursday night, those same blades of grass beneath my feet where he and I and so many of his mates here today have built partnerships, taken chances and lived out the dreams we paint in our heads as boys. The same stands where the crowds rose to their feet to cheer them on and that same fence he sent the ball to time and time again. And it is now forever the place where he fell. I stood there at the wicket, I knelt down and touched the grass, I swear he was with me. Picking me up off my feet to check if I was okay. Telling me we just needed to dig in and get through to tea. Telling me off for that loose shot I played. Chatting about what movie we might watch that night. And then passing on a useless fact about cows. I could see him swagger back to the other end, grin at the bowler, and call me through for a run with such a booming voice, a bloke in the car park would hear it. The heart of a man who lived his life for this wonderful game we play, and whose soul enriched not just our sport, but all of our lives. Is this what indigenous Australians believe about a person's spirit being connected with the land upon which they walk? If so, I know they are right about the SCG. His spirit has touched it and it will be forever be a sacred ground for me. I can feel his presence there and I can see how he has touched so many people around the world. The tributes to him from cricket lovers kept me going. The photos, the words, the prayers and the sense of communion in this loss from people across the globe have shown me his spirit in action. It has sustained me and overwhelmed me in equal measure. And the love of my band of baggy green and gold brothers an sisters have held me upright when I thought I could not proceed. His spirit has brought us closer together - something I know must be him at work because it is so consistent with how he played and lived. He always wanted to bring people together and he always wanted to celebrate his love for the game and its people. Is this what we call the spirit of cricket? From the little girl holding a candlelight tribute to masters of the game like Tendulkar, Warne and Lara, the spirit of cricket binds us all together. We feel it in the thrill of a cover drive. Or the taking of a screamer at gully, whether by a 12-year-old boy or by Brendan McCullum in Dubai. It is in the brilliant five-wicket haul, just as significant to the players in a Western Suburbs club game as it is in a Test match. The bonds that lead to cricketers from around the world putting their bats out, that saw people who didn't even know Phillip lay flowers and that brought every cricketing nation on earth to make its own heartfelt tribute. The bonds that saw players old and new rush to his bed side. From wherever they heard the news to say their prayers and farewells. This is what makes our game the greatest game in the world. Phillip's spirit, which is now part of our game forever, will act as a custodian of the sport we all love. We must listen to it. We must cherish it. We must learn from it. We must dig in and get through to tea. And we must play on. So rest in peace my little brother. I'll see you out in the middle. Speech of the year by the retiring Gordon Brown? After yesterday's post on the retirement of Gordon Brown, one of my sons reminded me of the brilliant speech the former PM had made on the night before the referendum on Scottish independence. I had seen it too and agree that it qualifies as speech of the year - even though Mr Brown was hardly the greatest orator the world has ever seen. What's more, it's had half a million views on YouTube!!! Goodbye, alas, and Merry Christmas to Gordon Brown! Former PM Gordon Brown has been a regular star of this blog - ever since my first ever blogpost, which included some tips for one of his party conference speeches that was originally commissioned by The Times. Since then, I've posted low and high opinions of him (neutral, of course!) and will be very sorry indeed to see him go (to the House of Lords, we assume). Further comments on his competence (or otherwise) as a PM, a speaker, a communicator, rugby player - or anything else - will, of course, be very welcome here and for my next book. * This, and other posts shamelessly publicising my latest book, has/have appeared because my agent tells me that the receipt of 5* reviews on Amazon is the most effective way of selling books these days. So thanks in advance to any of you who can be bothered! Tonight's Radio 4 PM news programme had a feature on pauses (a few minutes ago). but no one there had asked me to go on the show. Nor had anyone bothered to ask me about how pauses work in conversation, speaking, presenting - whether on radio, television or everyday life. Maybe the trouble is that there's no one at the BBC - including PM presenter, Eddie Mair (above), who has read any of my books. If he, they (or you) had done so, they'd/you'd have a fair idea about how pauses work in a wide variety of different settings. If the feature continues tomorrow, there's plenty of time to phone me or perhaps even read one of them. I'm not very optimistic, but watch this space. (P.S. note the quadruple alliteration in the title). I've just been watching David Cameron, Nick Clegg and Gordon Brown (above) slugging it out in the prime ministerial general election debates (HERE ) and wondering whether we'll get to see and hear Messrs Cameron, Clegg and Miliband in 2015? One thing I'd forgotten was that the BBC website magazine had asked me what I thought about the debate (notes under the above video clip). But they haven't yet asked me what I think should happen in 2015 - even though I've blogged extensively about why I think it's not a very good idea. I hope that, given my former associations with Paddy Ashdown, the Liberal Democrats, critical comments elsewhere on this blog about Messrs Cameron and Miliband, etc. the BBC doesn't think I have any political bias. One of the things I take considerable pride in is the fact that none of my books, including the latest one published last month (Seen & Heard) is anything other than politically neutral. One of my agents tells me that the best way to sell my new book is to put a picture of it on my blog. Is anyone serious about getting rid of Ed Miliband - other than the Tories and other parties? The Spectator (headline above, picture to left) was only one among many in the media, not to mention Labour MPs, Twitter - and almost everywhere else - discussing the barmy idea that a party leader can be safely disposed of as few as six months away from a general election. On BBC's Question Time last night, Charles Kennedy (who knows at first hand what it's like to be deposed as party leader) spoke interestingly about Margaret Thatcher. He didn't mention the fact that she was deposed in plenty of time for John Major to establish himself as the new leader and then go on to win the next general election. Nor did Mr Kennedy say anything about the fact that his predecessor, Paddy Ashdown, deliberately timed his resignation mid-way between general elections in order to give the new leader (Kennedy) time to establish himself with the wider public before having to lead the Liberal Democrats into the next election - and to go on to increase the party's number of seats in the House of Commons. Regular readers will know that I've had my doubts about Mr Miliband's public speaking and presentational style for the last four years. Wrong choice the Labour Party may have made when it elected him as leader after losing the last general election, but to suggest that he should pack it in now - whether by jumping or being pushed - is, to say the least, completely potty. In fact, long words fail me when it comes to commenting on the current pseudo-furore!